The beautiful Salamander Resort and Spa tucked away in the rolling hills of picturesque Middleburg served as the backdrop for the 2016 Virginia Wine Summit. 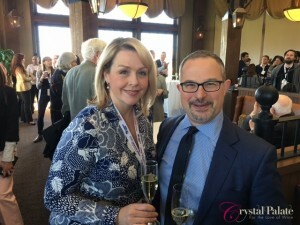 The day long conference on April 5 brought together some of the country’s leading wine experts, writers and critics with some of the best winemakers in the Commonwealth to celebrate the Virginia wine industry. The morning kicked off with a Grand Tasting, featuring the Art of Whites. Five Virginia whites went head to head with its global counterparts in a blind tasting. The panel discussion was lead by Master of Wine Jay Youmans, who also serves at the helm of the Virginia Governor’s Cup. We tasted through Chardonnay, Sauvignon Blanc, Vermentino, Petit Manseng and Viognier. Virginia did extremely well in all the blinds, but the big take away for me was the Barboursville Vermentino and the King Family Viognier. 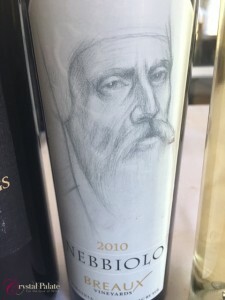 The Michael Shaps Petit Manseng never disappoints, nor does the Veritas Sauvignon Blanc, but the elegant, bright and mineral driven Vermentino from Barboursville was a real showstopper. It was tasted up against the La Spinetta Vermentino from Tuscany and was the crowd favorite for that match-up. 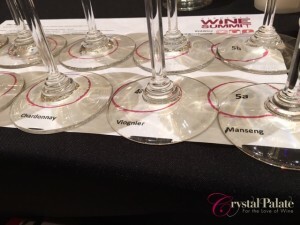 The Viognier fooled many in the room including myself and several of the panelists. Many of us thought the Virginia Viognier was from Condrieu, a world renowned area that produces Viognier in the Rhone Valley of France. Viognier was coined the signature grape of Virginia a few years back, but it’s been challenging for many winemakers to produce a consistent style and many have removed their vines and planted more reliable grapes. Viognier can also pose a challenge due to its lack of acidity in comparison with many other whites, making it a bit more challenging to pair with food. However, when the perfect growing season culminates with the perfect terroir and a kiss of TLC in the cellar, Viognier can be an exquisite wine, as King Family and a handful of other Virginia producers like Jefferson, Chrysalis, Michael Shaps, Horton and Barboursville have demonstrated time and time again. Fox Meadow also deserves a mention for producing a Chardonnay that many mistook for a Sonoma Chardonnay. 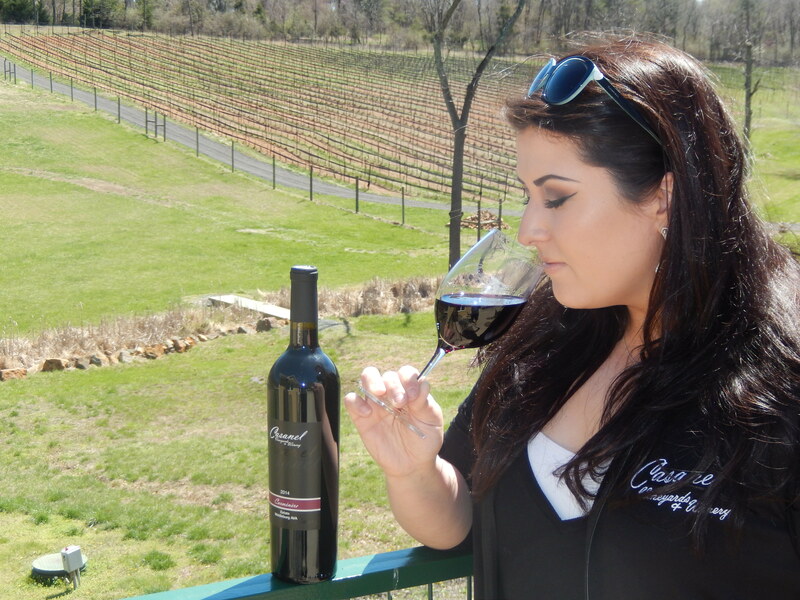 While Virginia is finally succeeding in establishing its own identity for the special place that it is, it’s certainly a great compliment to have your wine compared to some of the best wine regions in the world. While the focus for many American winemakers has been on French varietals over the years, it’s really exciting to see what Virginia is doing with Italian grapes. While Luca Paschina, winemaker at Barboursville, has led this charge, a few other properties are taking notice and producing some exceptional wine with Italian flare. One of the most memorable wines of the day for me was the 2010 Nebbiolo from Breaux Vineyards. Nebbiolo hails from Piedmont, Italy and produces the powerhouse wines of Barolo and Barbaresco. 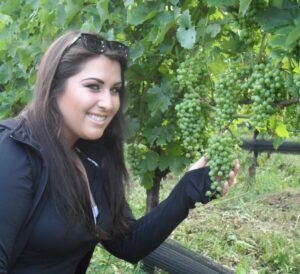 Breaux has been working with this grape for more than 15 years. The nose had the immediate telltale signs of Nebbiolo with it’s soft dried rose petals and rugged hints of tar. These aromas danced in my glass and mingled with notes of dried cherry, rhubarb, sweet spice, oolong tea, a touch of anise and orange zest. The velvety tannins and piercing, yet balanced acidity, had me longing for a big bowl of pasta carbonara or hearty bolognese, a hunk of bread and a bottle of this beautiful red. Can you say delicious! The 2010 vintage will be released to the public later this year. Author of The New California Wine, Jon Bonné,served as the keynote speaker and talked about the incredible progress that Virginia has made over the past decade. He said Virginia is nearing an inflection point and that an important decision needs to be made on what Virginia wants its wine identity to be. 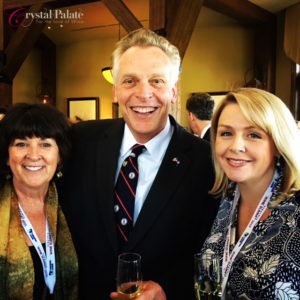 He encouraged everyone in the room to stop comparing Virginia to Napa or Oregon or France and to celebrate Virginia for all it has to offer. Diversity was a common thread throughout many of the panel discussions. 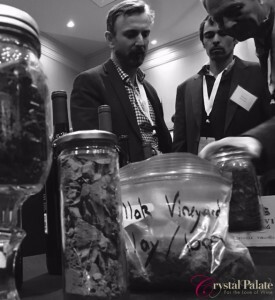 It really is the diversity of not only varietals, but the diversity in microclimates and terroir that really make Virginia a special place to grow wine. From learning about the different terroir and soil types of Northern and Central from six winemakers to a panel discussion on Uncommon varietals grown in the Commonwealth, the 4th Annual Wine Summit was a day packed with interesting dialogue and discussion about the depth of its wine portfolio. From light, crisp Albarino and Vermentino to Petit Manseng for the whites and the Bordelais varietals for the reds, Virginia is coming in to its own as a world class wine destination. Not to mention the beautiful landscapes surrounding our vines from the Chesapeake Bay to the Blue Ridge Mountains, it’s easy to see why Virginia is for Wine Lovers. There’s no doubt Thomas Jefferson would be incredibly proud of the success of the industry he so passionately pioneered more than 200 years ago.